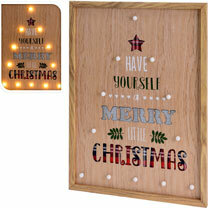 Wooden wall decoration with 12 LED lights and festive wording. 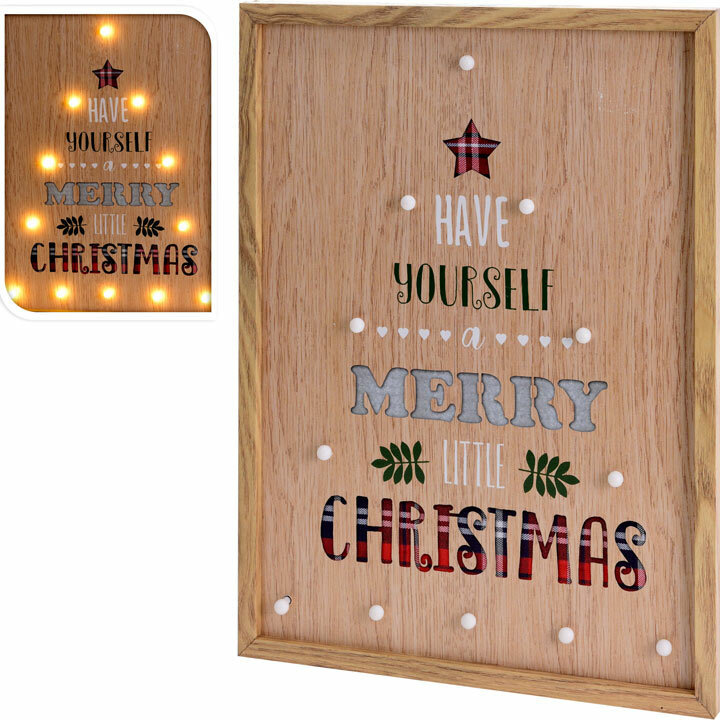 40 x 30 x 3cm. Two AA batteries required (not included).